So sorry for my lackadaisical approach lately to this blogging malarkey - the time keeps running away from me. Perhaps I should tackle it the same way as my work load i.e. to do lists and reminders on my outlook calendar? 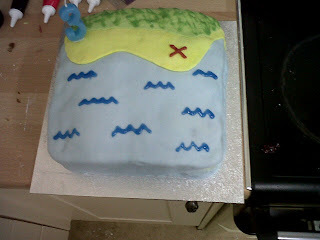 Anyway, lots of food related fun has been occurring lately, firstly with a successful bake of a 'Pirate's Treasure Map' cake for my nephew's birthday. He was thrilled and I was very pleased with the final result. Must get commissions from friends with children so I can make more and hone my craft!! As a first attempt I was impressed though. 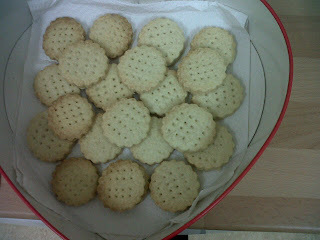 In honour of it being National Baking Week this week I made miniature shortbread biscuits, they went down a treat in the office with my colleagues which is always nice to see. With a couple of days still left in a week dedicated entirely to baking I may push the boat out and make muffins or brownies too. Watch this space for a Halloween related update!